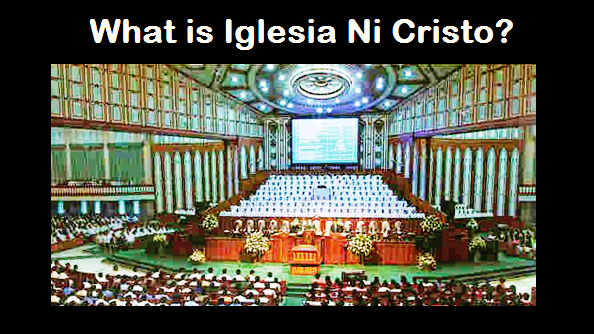 THE IGLESIA NI CRISTO: Did Brother Felix Y. Manalo Die Like Judas Iscariot? "Felix Manalo Died Like Judas Iscariot"
THE blog “The Splendor of the Church” administered by a Roman Catholic priest, Abe Arganiosa, posted an article titled “Felix Manalo Died Like Judas Iscariot”. This article shows how desperate the Catholic Defenders in refuting the biblical fact that Brother Felix Y. Manalo is indeed God’s messenger in these last days. (1) IT’S A “NON-SEQUITOR” (“IT DOESN’T FOLLOW”). Following the argument of the Catholic Defenders will mean that all died of the same death as a criminal or evil person will make that person also a criminal or an evil person. Many criminals died of sickness, does that make a person that died of sickness also a criminal? There are traitors that died of old age, does that make a person died of old age a traitor? The Lord Jesus Christ Himself died the same manner as the two criminals at His left side and right side – they were also crucified like the Lord Jesus. Does that make the Lord Jesus also a criminal? The coincidence or the similarity of the death of a certain person to the death of an evil man, a traitor or a criminal, doesn’t make him an evil man, a traitor or a criminal. Thus, their argument is ridiculous indeed. Yes, the Catholic Defenders are lying in claiming that Brother Felix Y. Manalo died like Judas Iscariot. IF BROTHER FELIX Y. MANALO DIED OF INTESTINAL PROBLEM AS ADMITTED BY CATHOLIC DEFENDERS THEMSELVES, AND THEY CLAIM THAT BROTHER FELIX Y. MANALO DIED LIKE JUDAS ISCARIOT. THIS WILL MEAN THAT JUDAS ISCARIOT DIED ALSO OF INTESTINAL PROBLEM. We all know that Judas Iscariot did not died of intestinal problem. DID JUDAS ALSO DIE OF “INTESTINAL DISEASE”? WE ALL KNOW THE BIBLICAL FACT THAT JUDAS ISCARIOT COMMITTED SUICIDE. “It was only after many years later, in February 1963, that Manalo fell gravely ill. He was rushed to St. Lukes hospital in Quezon City where doctors decided to remove immediately “an intestinal obstruction”. Manalo rejected the surgery, saying, “Doctors can cure only those who are not yet to die, not those whose time has come.” By March 21, 1963, his incapacitation was total and he was transferred to Veterans Memorial Hospital. Doctors operated on him but failed to give him relief from pain. “On April 2, the doctors worked on Manalo again to sew back part of his intestines which had burst and hemorrhaged. On April 11, they performed a third surgery on him. It proved to be the last. New King James Version said that Judas “burst open in the middle.” How did Judas “burst open in the middle”? "As you know, he took the evil bribe money and bought a small farm. There he came to a bad end, rupturing his belly and spilling his guts." Thus, how did Judas die? He committed suicide, hanged himself, but he fell headfast and his belly burst open and his intestine spilled out. WHAT BURST WAS JUDAS’ BELLY BECAUSE HE FELL TO THE GROUND WHEN HE HANGED HIMSELF, AND HIS INTESTINE SPILLED OUT. However, how did Brother Felix Manalo die? He died of intestinal problem – there was an “intestinal obstruction.” His intestine burst and hemorrhaged (noy his belly) due to "intestinal onstruction (not because he hanged himself and fell headfast), thus on April 11, the doctors performed a third surgery on him, but It proved to be the last. HERE, IT IS CLEAR THAT CATHOLIC DEFENDERS LIED ON SAYING THAT BROTHER FELIX Y. MANALO DIED LIKE JUDAS ISCARIOT. · And they say that the "Sugo doctrine" was only 1922?